John Loomis was born on 28 March 1692. He was the son of Deacon John Loomis and (?) Unknown 1st Wife. [S137] Elisha Scott Loomis, Joseph Loomis, Page 145, Item 113. 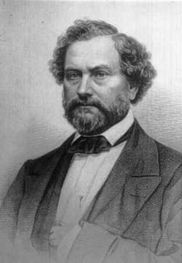 [S137] Elisha Scott Loomis, Joseph Loomis, Page 162, Item 318. Hannah Marsh was born circa 1655. She married Deacon Joseph Loomis, son of Deacon John Loomis and Elizabeth Scott, on 28 January 1675/76. Mary Gardner was born circa 1742. She married John Colt, son of Deacon Benjamin Colt and Miriam Harris, on 28 October 1759. Mary Gardner died on 15 October 1767. Abigail Watson married John Colt, son of Deacon Benjamin Colt and Miriam Harris, on 11 May 1773. Abigail Watson died on 12 March 1820. Abraham Colt was born say 1663.3 He was the son of John Colt Sr. and Mary Skinner.3 Abraham Colt married Hannah Loomis, daughter of Joseph Loomis Jr. and Mary Sherwood, on 1 January 1690 at Glastonbury, Hartford Co., CT.3 Abraham Colt died on 11 January 1719 at Windsor, Hartford Co., CT.3 Dr. Harris notes that Abraham was still living in 1734 (Manwaring 2:373). [S140] LLD Elias Loomis Loomis Female Branches, Vol. I:Pg. 149/Item 3. [S140] LLD Elias Loomis Loomis Female Branches, Vol. I:Pg. 149/Item 4. There is no record of Jabez' age at death, 81 is conjecture. We don't know the date of his marriage, but his child Ann was baptised in 1699 so he was certainly married by then. The probable order of their children's birth is as listed but based only on baptisms for the first three, the order named in their father's will and a vital record. Jabez Colt was born say 1675.3 He was the son of John Colt Sr. and Hester Edwards.3 Jabez Colt married Mary Morton, daughter of William Morton and Mary Burnham, by 1699.3 Jabez Colt left a will on 9 June 1756. He died in June 1757 at East Windsor, Hartford Co., CT.3 His estate was probated on 19 July 1757 at Hartford, Hartford Co., CT.
Ann Fitch was born circa 1682. She was the daughter of Capt. Joseph Fitch and Mary Stone.1 Ann Fitch married Benjamin Loomis, son of Thomas Loomis and Mary Judd, on 6 January 1703. William Lord was baptized on 27 December 1618 at England.2 He was the son of Thomas Lord and Dorothy Bird. [S254] Kenneth Lord, Thomas Lord, Page 71. Anna Stoughton2 b. 29 Oct 1615, d. probably d.y. Mary Skinner was born circa 1635. She was the daughter of John Skinner and Mary Loomis. Mary Skinner married John Colt Sr. circa 1660.4 Mary Skinner died by the summer of 1665. Dr. Harris notes that Ann Skinner was born about 1635, not "1639" as Loomis has it. Her age is given as 16 years in the inventory of her father's estate in Oct. 1651. Dr. Harris' subsequent article in TAG clearly identifies the wife of John as Mary and not her sister Ann. Children of Mary Skinner and John Colt Sr.
[S140] LLD Elias Loomis Loomis Female Branches, Vol. I:Pgs. 108, 149/Item 2. Children of Hester Edwards and John Colt Sr.
Christopher Colt was born on 30 August 1780. He was the son of Lt. Benjamin Colt and Lucretia Ely. Christopher Colt married Sarah Caldwell, daughter of John Caldwell and Margaret Collyer, on 4 April 1805. Christopher Colt died on 5 April 1850 at Hartford, Hartford Co., CT, at age 69. [S140] LLD Elias Loomis Loomis Female Branches, Vol. I:Pg. 152/item 76. Sarah Caldwell was the daughter of John Caldwell and Margaret Collyer.2 Sarah Caldwell married Christopher Colt, son of Lt. Benjamin Colt and Lucretia Ely, on 4 April 1805. Sarah Caldwell died on 16 June 1821. The Colt revolving-cylinder concept is said to have occurred to Sam Colt while serving as a seaman aboard the sailing ship Corvo. There he observed a similar principle in the workings of the ship's capstan. During his leisure hours, Sam carved a wooden representation of his idea. The principle was remarkable in its simplicity and its applicability to both longarms and sidearms. Nevertheless, Colt's idea was not an instant success. At the outset, many people preferred the traditional flintlock musket or pistol to such a novel weapon. Following Sam Colt's death,control of the company remained in the hands of his widow and her family until 1901, when the company was sold to a group of investors. [S140] LLD Elias Loomis Loomis Female Branches, Vol. I:Pg. 155/Item 145. John Edwards was born circa 1600. He died on 27 December 1664. William Loomis was born on 18 March 1672 at CT. He was the son of Lt. Samuel Loomis and Elizabeth Judd. William Loomis married Martha Morley, daughter of Thomas Morley and Martha Wright, on 13 January 1703. William Loomis died in 1738 at Westfield, Hampden Co., MA. [S137] Elisha Scott Loomis, Joseph Loomis, Page 140/Item 64. Martha Morley was born on 7 September 1682. She was the daughter of Thomas Morley and Martha Wright. Martha Morley married William Loomis, son of Lt. Samuel Loomis and Elizabeth Judd, on 13 January 1703. Martha Morley died on 22 February 1753 at age 70. "He was at the battle fo Bunker Hill and the seige of boston, under Capt. James Clark and Capt. Roger Enos. He removed to W. Springfield, Mass. . . " Corp. Jonathan Loomis was born on 23 January 1719 at Westfield, Hampden Co., MA. He was the son of William Loomis and Martha Morley. Corp. Jonathan Loomis married Hannah Selden, daughter of Ebenezer Selden and Elizabeth (? ), on 11 May 1747. Corp. Jonathan Loomis died in 1798. [S137] Elisha Scott Loomis, Joseph Loomis, Page 155/Item 221. Hannah Selden was the daughter of Ebenezer Selden and Elizabeth (?) Hannah Selden married Corp. Jonathan Loomis, son of William Loomis and Martha Morley, on 11 May 1747. Jonathan Loomis was born on 13 December 1747 at West Springfield, MA. He was the son of Corp. Jonathan Loomis and Hannah Selden. Jonathan Loomis married Lovisa Lamb, daughter of Daniel Lamb and Martha Ashley, on 19 November 1772. Jonathan Loomis died on 16 April 1836 at Becket, Berkshire Co., MA, at age 88. [S137] Elisha Scott Loomis, Joseph Loomis, Page 181/Item 600. Lovisa Lamb was born on 12 February 1754. She was the daughter of Daniel Lamb and Martha Ashley. Lovisa Lamb married Jonathan Loomis, son of Corp. Jonathan Loomis and Hannah Selden, on 19 November 1772. Loomis references the Atwater Genealogy. Lydia was from Blandford, MA. Warham Loomis was born on 24 May 1776 at Springfield, Hampden Co., MA. He was the son of Jonathan Loomis and Lovisa Lamb. Warham Loomis made marriage banns on 28 May 1800. He married Lydia Freeland in 1800. Warham Loomis died in 1826 at Mantua, OH. [S137] Elisha Scott Loomis, Joseph Loomis, Page 247/Item 1413. Lydia Freeland married Warham Loomis, son of Jonathan Loomis and Lovisa Lamb, in 1800. Lydia Freeland died in July 1843 at Eaton, Lorain Co., OH. Amanda Loomis was born on 27 August 1812 at OH.2 She was the daughter of Warham Loomis and Lydia Freeland. Amanda Loomis married James Trumbull Holcombe, son of James Alderman Holcombe and Dorcas Trumbull, in 1835. [S137] Elisha Scott Loomis, Joseph Loomis, Page 247/Item 3465. [S38] 1860 Federal Census, unknown repository address, Fremont, Madison Township, Sandusky Co. OH. James Trumbull Holcombe was born on 1 August 1807 at Granby, Hartford Co., CT.4 He was the son of James Alderman Holcombe and Dorcas Trumbull. James Trumbull Holcombe married Amanda Loomis, daughter of Warham Loomis and Lydia Freeland, in 1835. James Trumbull Holcombe died on 25 March 1865 at Rollersville, Sandusky Co., OH, at age 57. James and Amanda were enumerated in the 1860 Fremont, Madison Township, Sandusky Co., OH federal census. He was a farmer age 53, she was 47. Children in the household were Merrit 19, Samantha 16, Lester 14, and Noble 11. [S142] Unknown author, The History of Baker County, Oregon, Page 247/Item 3465. Lester Loomis Holcombe was born on 2 July 1846 at Rollersville, Sandusky Co., OH. He was the son of James Trumbull Holcombe and Amanda Loomis. Lester Loomis Holcombe married Candace Ellen Jennings, daughter of Capt. Joseph H. Jennings and Eleanor Evans. Lester Loomis Holcombe died on 19 September 1929 at Baker, OR, at age 83. [S142] Unknown author, The History of Baker County, Oregon. Candace Ellen Jennings was born on 3 May 1849 at Bolling Green, Sandusky Co., OH. She was the daughter of Capt. Joseph H. Jennings and Eleanor Evans. Candace Ellen Jennings married Lester Loomis Holcombe, son of James Trumbull Holcombe and Amanda Loomis. Candace Ellen Jennings died on 5 March 1930 at Baker, OR, at age 80. According to the History of Baker County, Oregon Joseph served in teh Civil War in Co. A, 111th Ohio Inf. and later Co. G. 169th Ohio. Need to investigate the Noble-Loomis connection to this family that might explain Noble's name. George Noble Holcombe was born on 5 January 1887 at Eagle Valley, OR. He was the son of Lester Loomis Holcombe and Candace Ellen Jennings. George Noble Holcombe married Lurley S. Morrison, daughter of Frank S. Morrison and Bertha Jane Durrett, on 15 June 1911. George Noble Holcombe died on 25 May 1941 at Richland, OR, at age 54. Lurley S. Morrison was born on 24 September 1891 at Johnstown, MO. She was the daughter of Frank S. Morrison and Bertha Jane Durrett. Lurley S. Morrison married George Noble Holcombe, son of Lester Loomis Holcombe and Candace Ellen Jennings, on 15 June 1911. Lurley S. Morrison died on 20 September 1962 at Dallas, OR, at age 70. Alpah Donna Holcombe was born on 20 June 1912. She was the daughter of George Noble Holcombe and Lurley S. Morrison.